Anchors away! The sport of sailing is joyful, peaceful, free-spirited, and even adventurous..... depending on how YOU decide to participate. Using a variety of boats, adaptive equipment, and teaching techniques, Adaptive Sports Connection is able to accommodate a wide variety of people with and without disabilities, so anyone can have a fun, rewarding sailing outing. Join us on a Saturday or Sunday for a lesson that meets your needs--whether you want just to go for a ride or become an experienced sailor. 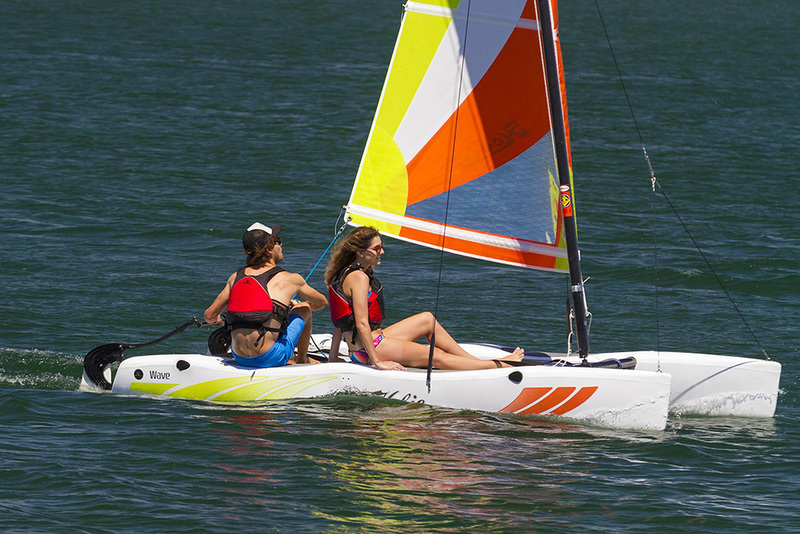 Adaptive Sports Connection has a sailboat to suit a your needs!